May I ask for long term rental rate? For 6 mos – 1 year? Hi! I have booked my stay on April 21-22, 2018. Unfornately, I haven’t received any confirmation yet. Please consider this so that I still have time to look for another hotel. Thank you! may aircon po ba yung standard room.? Hi!Good afternoon. How to make a reservation for 2nights. Please send me the details. Thank you! Hi po. Pa reserve po ako ng 1 standard room for 1 single bed. Chek in time is on August 7, 2018, 2pm and check out time is on August 12, 2018 12 nn. good afternoon, is there still available standard room good for 2, with 1 child and additional person tomorrow, June 2, 2018, with breakfast good for three, thank you. good day :) how much for just an overnight stay for 2 persons?? Can we use the pool if ever we would accomodate the Standard Room? – Our pool is primarily for functions. – In-house guests can use the pool (for free) from 9am to 9pm EXCEPT during maintenance and pool parties. – Depth is 5 feet. NO diving allowed. NO Lifeguard. – Proper swimming attire required. – Daily room rate includes 1 towel per pax per day. Additional towel has extra charge of 50 pesos per extra towel per day. I would like to make reservation for 2 adult persons, standard room will be checking in February 14. Is it available? I’m sorry. Has to be Superior (no window) or Family Room. – What is the check-in time on APR 25? 2pm? – What is the check-out time on MAY 1? 12noon? – 1 matrimonial bed or 2 single beds ? – We apologize for the not immediate reply. – Only front desk (telephone) staff is 24/7. Internet staff is not 24/7. Good day. may available ba para august 2 to august 3. or august 3 to august 4? check in time is 2pm and check out time is 6am or 7am. – Available for today and tomorrow. – Please review our hotel policies. 200 words only. I am planning to check in on Thursday, June 29 at around 1:00 pm and maybe check out on Saturday morning. Do you have available ECONOMY rooms on those dates? – I am sorry. Economy Rooms are first come first served. Cannot be reserved. – What is your check-in time on APR 11 ? – What is your check-out time on APR 18 ? – Where did you see “7night for 6800” ? may i know if you have an available room for two this coming 03/14/2016? What is your check-in time on MAR 14 ? What is your check-out time on MAR 15 ? do you have vacant room for 2 person on january 14-15 ? Hm ang room rates with bath tub? Please send me an email, also im interested for your function room on March 18 2017? Available? Standard – no bathtub. Only Superior, Family, Condos and the Suites have bathtub. For function quotation, please provide type of occasion and number of seats required. Pwede ba maka pag reserve nang room (family room) kahit january 10 pa ang check in date? Magkano ba? What is your check-in time on JAN 10? What is your check-out time on JAN 11? For an exact quotation, we need the following information. Hi. Is your economy room for two available tomorrow? Economy is first come first served. How to book now with Standard room for 3 nights? Please use our reservation form. Hi! How much for 10 days? For 10 pax? For quotation, we need the following information. You can also use our reservation form to calculate costs. Just don’t finalize. How much is your standard room / night ? With bath tub. Or only the bedroom condo has a bath tub? hello! i just want to ask if your room rates posted in the web are updated? thanks! are still there a vacant standard room jan 15 to 18? and how much is the rate? Do u still have available room for sinulog for 2days(sat.n sun)? And i would like to inquire for ur rates sa buffet package sa christening and 1st birthday for a kid separately. Do you still have avail standard or economy room for sinulog? January 16-19? Do you have standard room for 2 persons from nov21-23, 2015? Available. Please use the booking engine to reserve. Hi, is there an available 1 standard room for 3 adult and 1 child. From nov 18 up to nov 20 2015. I am sorry. Standard is 2-person room. I would like to inquire if theres a available standard room on the 29th day of October this year? What time is your check in and out? Thank you for your immediate response..
>>> What time is your check in and out? Our hotel policies is only about 200-300 words. Please review all of them. >>> I would like to inquire if theres a available standard room on the 29th day of October this year? 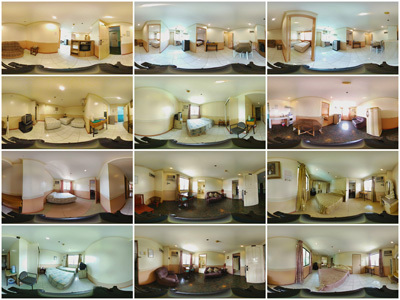 hi….is there any pic for the superior room good for 3 persons?? thank you. I would like to ask if there is still available standard room (matrimonial bed) on September 25 until 27? If there is, how much would it cost including breakfast for 2? 2) 1100 x 2 = 2200 pesos (w/ breakfast for 2). Tax already included. 3) Please check your email. We will be in cebu on September 23,2015. How can i make a reservation for a standard room.I only need one room and it will only for two nights.Thank you so much. Please check your email. We need to verify a detail before we can process your booking engine submission. Naa pa ba mo vacant sa standard rooms for 8/27 ~ 8/28? do you have a standard room available for August 30-31, 2015? I’ve responded to your email. Please check. Do you have a standard room available today? Aug. 15, 2015. I am sorry. No more Standard for today. do you a standard room available on aug.8? i also would like to know if the 1 matrimonial	bed is available for Friday July 31, if yes i would like to have one reserve. Hello, i am planing to go there for 3 nights. i would like to know if the rates for 1 matrimonial 950 is still available. i would like to know if i take a taxi from JY in how many minutes i will get there? July 31 (2pm check-in) to August 3 (1pm check-out) = 3 days or 3 nights. Hi! :) We are planning to have a short stay at MPH. 6 po kami lahat. Gusto namin kunin yung standard room. Eh, good for 2 lng nakalagay sa rates nyo. Magkano po babayaran namin if ganun? If you mean 6 persons in one Standard Room, we have to request to please just get 3 rooms. Extra beds are 450 pesos per person per night, so it’s better to get 2 more rooms than 4 extra beds. Extra rooms also means more bathrooms. No more MPH Standard Room or Economy Room. 1 Bedroom Condo is available. Good for 2 persons. I would like to ask if you have an available 2 standard rooms for january 14-20, 2015. Before we can check availability, we need number of people, approx. check-in time on January 14 and approx. check-out time on January 20. We have answered your email. Good morning, i Would like to ask if you have an available standard room from January 16- 18, 2015. please..? Do this standard room have a cr? I meant private cr, not shared with any other room? And can i just check in at 10 pm? or more likely 9-11 pm? All our rooms have private bathrooms. Not shared bathrooms. Need to know the check-in date first. What is your specialty every weekends and what is your best seller rooms? Hi, we are planning to have a day use tomorrow , october 29 2014 , can we get standard room (one big bed) for tomorrow ? And is your swimming pool available tomorrow ? Thank you. We apologize for the not immediate reply. Only via telephone is 24/7 while emails and comments may require 1-2 business days to process. There is a pool party today – Oct. 29, 2014. Good day :) i would like to reserve a standard room (w/breakfast for 2) for overnight stay only. Check-in November 4,2014 and check-out Nov.5, 2014. *matrimonal bed. I’ll Pay on Oct.31,2014. 1) Only 2 people checking in ? 2) Please provide approx. check-in time on Nov. 4 and approx. check-out time on Nov. 5. 3) 1 matrimonial bed or 2 single beds ? 4) Do you agree with the hotel policies ? yes, we agree with the hotel policies. *Do we need to pay before checking in or upon arrival ? Thank you. We have sent you 2nd email. If you don’t see our emails, please check your spam or bulk mail folder. Yes please, we will proceed on our reservation. ++Do we have to pay the same amount listed in your website * 1100 pesos (w/ breakfast for 2), ? ++Or Is there another additional payments ? At check-in, 1100 pesos + 500 (cash) pesos will be requested from you. As stated in the hotel policies, the 500 pesos (cash) is the incidental expenses deposit or security deposit. It is requested at check-in and refunded at check-out, minus extra expenses if any. If my wife and I book a standard room for check-in Dec.5, 2014 and check-out Dec.9, 2014…can we get a balcony, matrimonial bed, in-room wifi, early check-in (we arrive Cebu city on the 8:40 am flight)? Hi , I would like to make a reservation on Oct.15,2014 for a Standard Room w/Breakfast for two (2) overnight stay only. We will check out tomorrow morning Oct.16,2014. Do you still have a vacant Standard Room on that date? & Do we need to pay before checking in or upon arrival ? Thank you. In addition, I would like to request a standard room with 1 matrimonial bed (if possible) on that day. Thank you . I am sorry, but there’s a (big) convention during those dates. Metro Park Hotel is already full. Crowne Garden Hotel nearby may still have a few Standard Rooms available. Can you reserve 1 Standard Room (Matrimonial bed)? Do you agree with the hotel policies? How many people are checking in? Hi, I’d like to inquire if we can reserve one month ahead. Scheduled date of arrival is October 10, 2014 @ 1pm (Standard Room Matrimonial). If we can reserve ahead, how much is the reservation fee? Thanks. We need more information before we can answer your question. 1) How many people are checking in? 2) Please provide check-out date and approx. check-out time. 3) Do you agree with the hotel policies? Hi! how much is your monthly rate for the standard room? Monthly rates have been sent to your email address. I would like to make a reservation for the standard room from aug 30, 2014 until sep 2 (6am). Do you have an airport transfer? How many minutes is the travel time from the airport to your hotel? Please send me a quotation. Hi would like to make an early reservation for your standard room July next year can you help me please and do you have an airport transfer.? How far is this hotel from your airport? During Sinulog, MPH Standard is 1375 pesos per day-night. With breakfast for 2. Tax already included. No breakfast rates are not available during Sinulog. Hi, can u send me an email of the full details for a reservation especially the check in and out.. since we will be arriving in cbeu around 11pm or 12am.. Thanks! What time are we going to check out if we’ll check in between 6-8pm? Is it still going to be 12nn or what? We’re going to the beach the whole day before checking in. And are we still going to pay for the IE which is 500.00 if we’re going to stay in a standard room with breakfast for 2? Even if you check-in in the evening, you still have to check-out by noon to 1pm the next day to avoid late check-out charges. Incidental Expenses / Security Deposit is required for all stays. It is requested at check-in and refunded during check-out. Can we check in and check out any time we want for just less than a day? We cannot 100% guarantee early check-in. You can only check-in early if there is vacant room. Good day! Can we check in for 1 day? I mean not really 1 day because we’re planning to check in at morning and check out early in the evening. If so, how much will it be? and can we use the swimming pool? We don’t have short time rates. It would still be based on the discounted daily rate. How much is the rate of the standard room if we’ll only stay for 8-10 hours? hello. i need one standard room on thursday, April 3. two pax. matrimonial bed. preferrably smoking room if you have one. no breakfast please. I am sorry, but Metro Park Hotel is a non-smoking hotel. hi, is your standard room available on june 24-26, 2014? I need 2 standard rooms (matrimonial) if possible. Can i reserve here then pay upon arrival? Please provide approx. check-in time on June 24 and approx. check-out time on June 26. Do you have wifi connection in a standard room? Metro Park Hotel has room wifi but we can’t promise / guarantee on internet reliability since most of the time when the internet fails, it’s because of technical problems on the provider’s end. Even though we do provide free wifi, we recommend our guests to have their own portable wifi systems. The three major telecom companies in the Philippines sell mobile internet systems. Hi again, is saw in your website – Family Room A photo has cooking facilities? is there additional charges for the use of the facilities? 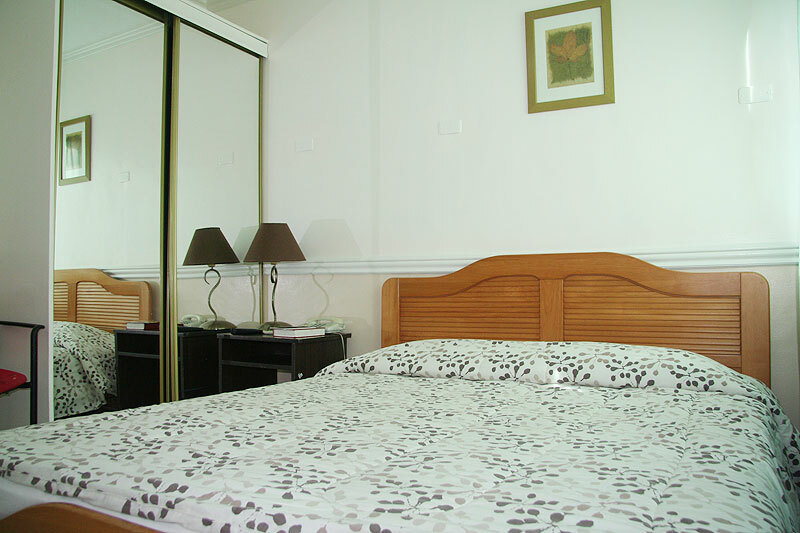 Family room A and 1 Standard Room (matrimonial) still available on the 25th to 27th April? We have replied to your latest email. If you don’t see our latest reply, please check your spam or bulk mail folder. And provide the required information for reservation requests. Thank you. hi again!! !standard room 2 pax (2 single bed),standard room 2 pax (2 single bed)..requesting for contigouos bed. We have answered your requests via Booking.com. good eve! !regarding for my reservation.i am requesting for 2 contigouos room. Hi. May available room pa ba kayo for feb 11-13? and pakicompute na kung magkano yung babayaran. W/o breakfast. Thanks! 2 X 900 pesos = 1800 pesos. Already good for 2 persons. Without Breakfast. Tax already included. For reservation, please provide preferred bed-type – 1 matrimonial bed or 2 single beds. In addition to the daily room cost, please also bring additional 500 to 600 pesos (in cash) for the incidental expenses / security deposit. It is requested at check-in and refunded at check-out (minus extra expenses, if any). We have sent you another email. If you don’t see our second email, please check your spam or bulk mail folder. 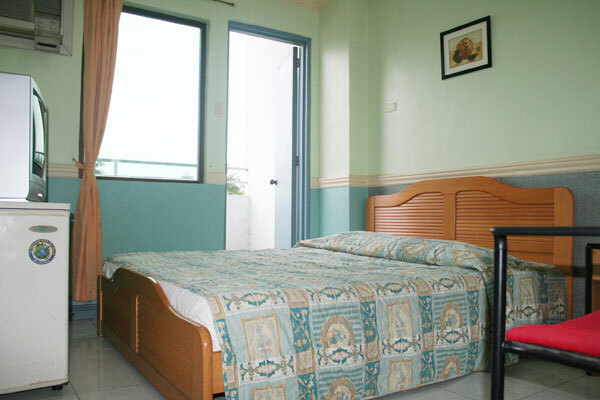 What are your rates for family rooms and other rooms for this upcoming sinulog jan 17-20? Are there any available rooms? Please reply ASAP. Thanks. Please check if I can have a standard room with 2 single beds for Jan 11 2013. We are checking out Jan 12 2013 noontime. Thanks! Hello! Do u still have available standard room for jan 18-19 2014? Would like to reserve for these 2 nights..
hi is standard room available? 1 bedroom for 1 person only, no breakfast. December 2 2013 (check-out around 7-8am). Hi, do you still have a vacant standard room from january 18-22, 2013? If so, how much exactly will it cost? I understand there may be rate changes because of the festival. Thanks! MPH Standard 2pax is 1375 pesos per day-night during Sinulog. With breakfast for 2. Tax already included. We have sent your reservation confirmation number to your email address. If you don’t see our email, please check your spam or bulk mail folder. hello po, nagpapareserve po ako ng dalawang room. hello, is this available for nov 22-25? if yes, how can i make a reservation? MPH Standard Room is available for those dates. For reservation, please provide approx. check-in time on Nov. 22 and approx. check-out time on Nov. 25. Please also provide bed-type preferred – 1 matrimonial bed or 2 single beds. In addition to the daily room cost, please also bring additional 500 to 600 pesos (in cash) for the incidental expenses deposit. It is requested at check-in and refunded at check-out (minus extra expenses, if any). Your group consist of 2 people? You and a second person? 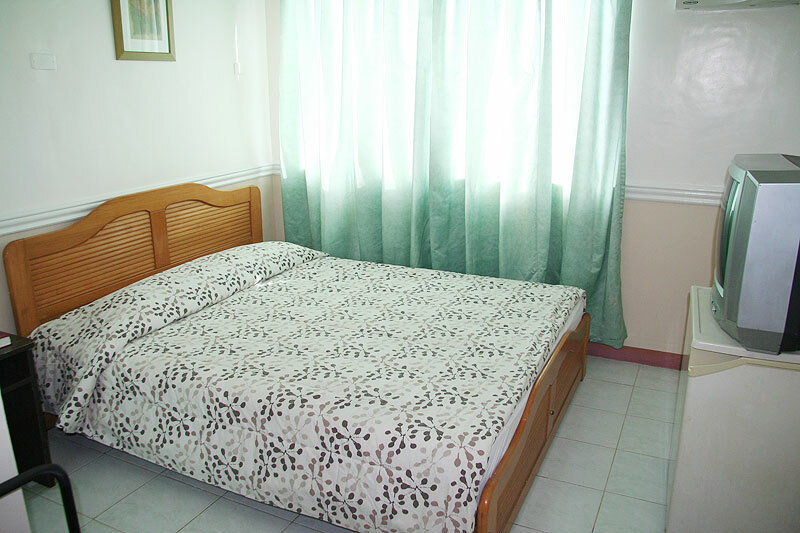 MPH Standard 1 matrimonial bed is still available for Sinulog. Third Sunday of January is Sinulog. Sinulog is Cebu’s biggest annual festival. How can I book online…? and email us the required information. The discounted daily rates listed on the hotel website are already the lowest possible daily rates. They’re 20% off the tariff rates. Please provide number of people checking in. Please provide preferred bed-type: 1 matrimonial bed or 2 single beds. Do you agree with the hotel policies ? Available. Rates above are up-to-date. We have sent you an email. If you don’t see our email, please check your spam or bulk mail folder. Hi.. How much is the monthly rate for standard room and executive room? Can you show me some pictures of executive room? And where is the exact addres/location? Hi! We will have a whole day seminar located near in your hotel this coming September but there is no specific date yet. How much will it cost me if I and my friend will stay for a night? And, we also prefer the standard room with breakfast. The discounted daily rates listed on the hotel website are valid for September 2013. Hello! Just like to know if you have a standard room available on August 18-21. And please do send me your mobile number so as I could easily contact you. Thanks! MPH Standard is available for your dates. We have sent you an email. If you don’t see our email, please check your spam or bulk mail folder. 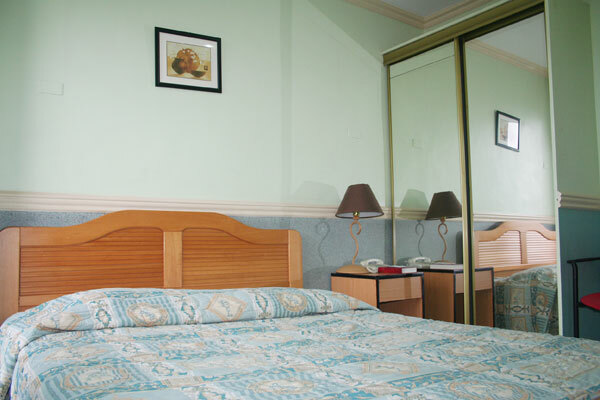 How much is the monthly rate for the standard room with 1 matrimonial bed? We have sent our monthly rates to your email. If you don’t see our emails, please check your bulk or spam mail folder. Hi, ill be coming to cebu on aug 2. 10pm. If I check in at 11pm aug 2. And checkout 12nn aug 4. Will that count as 2days-2nights? August 2 (10pm to 11pm check-in) to August 4 (noon check-out) counts as 2 day-nights. No breakfast. Tax already included. Hi how much would it cost for a standard room on Aug 12 – Sept 9? And if my dates are flexed to a monthly rate how much would it cost and what dates can i book in? Room is available for your dates. >> check in July 11 @ 11pm, and check out @ july 13, 9pm? Please be advised that this would count as 3 day-nights, not 2 day-nights. 9pm late check-out is considered as extra night. I plan to stay in Cebu for 10nights, June18-28. Do you have a weekly rate for the standard room w/out breakfast? how much needs to be added for 4 people? For 4 people, you have to book two MPH Standard Rooms. Each MPH Standard Room is good for 2 persons. Please be advised that the rate that you immediately see on Booking.com does not yet include tax. requested at check-in and refunded at check-out (minus extra expenses, if any). April 13, 2013 (2pm check-in) to April 14, 2013 (1pm check-out) counts 1 day-night. 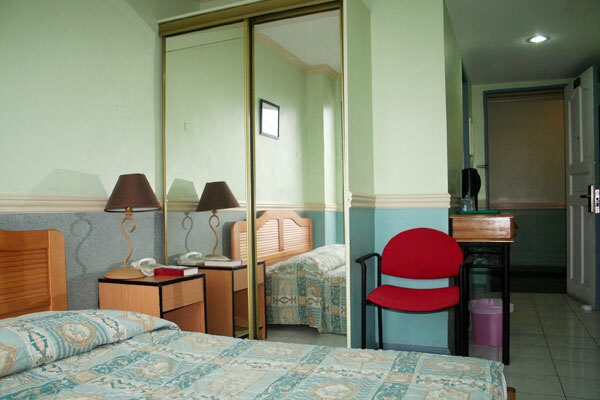 MPH Standard 2pax (2 single beds) is 900 pesos per day-night (no breakfast) or 1100 pesos per day-night (with breakfast for 2). Tax already included. Can you accomodate 3 persons in standard room? We need are 5 persons so we will need 2 rooms since the family room is for 4 persons only and we do not require breakfast. I am trying to book online but I cant see the option to do so. We have replied to your email. If you don’t see our email, please check your bulk or spam mail folder. For reservations, we accept reservation requests via email or via telephone. hi. do you have availability for tonight. standard room. good for a couple. tnx. are you posting the latest prices? tnx. Standard is (still) available for tonight. The room rates on the website are up to date. April 24 (2pm check-in) to April 27 (1pm check-out) counts as 3 day-nights. 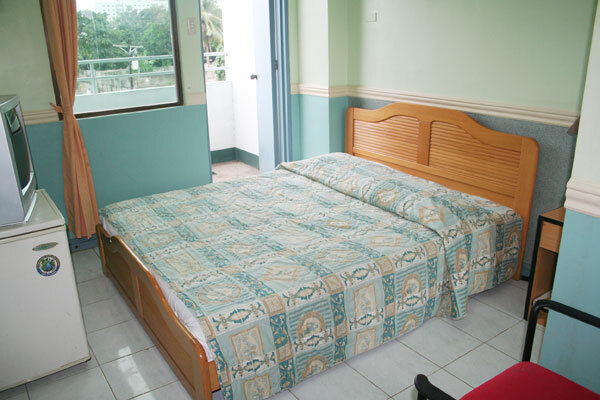 MPH Standard 2pax (1 matrimonial bed) is 900 pesos per day-night. No breakfast. Tax already included. We have sent you an email (with additional information). If you don’t see our email, please check your bulk or spam mail folder. I would like to know if one standard room is available on February 5, 2013. How much? We have sent you an email. If you don’t see our email, please check your bulk or spam mail folder. still any standard rooms available for tomorrow? sinulog parade. Will this rate be the same until this March 8, 2013?? I will be in Cebu on March 8-11, 2013.. Thanks.. The rates listed are currently valid for March 2013. We can’t promise or guarantee that the rates won’t increase from now to March 2013, but if you reserve at the current rates, you will be charged those rates (during your stay) even if the rates had increased in the meantime. Hello, do you still have rooms available for the Sinulog weekend? Thanks! is there a room for stay? and how much is it? i will sometimes bring my friend. last question how can i book a reservation? how much is the monthly rate for standard for 1 matrimonal bed? We have sent you an email with the hotel’s monthly rates. If you don’t see our email, please check your bulk or spam mail folder. Please send me a quotation for July 31 to August 7 2013. Thanks! Jul. 31 (2pm) to Aug. 7 (1pm) 2013 counts as 7 day-nights. For MPH Standard, that would be 6300 (no breakfast) or 7700 (w/ breakfast). Tax is already included. Please reserve for 1 standard room with matrimonial bed on December 18 and 19, check in time 10am if available. How much is the bill? Dec. 18 (10am) to Dec. 20 (1pm) counts as 2 day-nights. 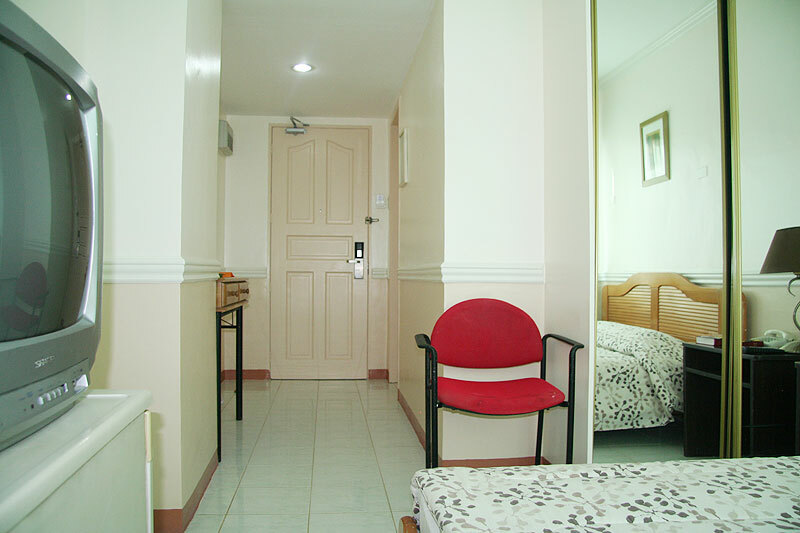 MPH Standard for 2 day-nights is 1800 pesos (no breakfast) and 2200 pesos (w/ breakfast for 2). Tax already included. We have also sent you an email with more details. If you don’t see our email, please check your bulk or spam mail folder. pls send me details about your standard room.. we will be getting 2 standard rooms. matrimonal bed. our check in date will be march 10-11 then march 13-15. how much will it cost? will there be any discounts? Dec. 17 (2pm) to Dec. 20 (1pm) counts as 3 day-nights. 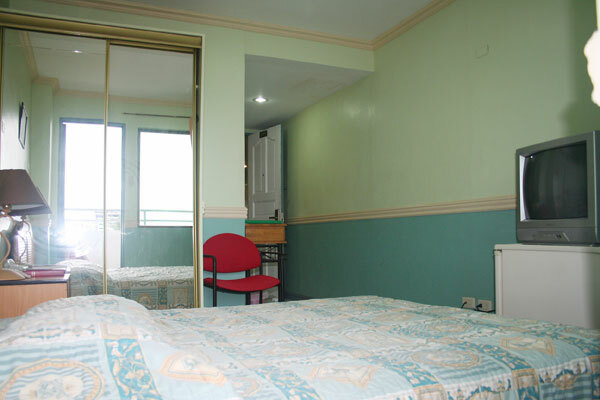 MPH Standard w/ breakfast for 3 day-nights is 3300 pesos. If this is okay, please let us know so we can process your reservation. We have also sent you an email. If you don’t see it, please check your spam or bulk mail folder. I already reserve 2 standard rooms from Jan. 13 to 30 but forgot to tell Lucylyn I’ll get standard matrimonial rooms.. I would also like to ask if you accept credit card? Thanks & hoping to hear from you soon! I have informed Manager Yorlin that you prefer 1 matrimonial bed for your two Standard Room reservations. Standard matrimonial is available for your dates. December 14, 2012 (2pm check-in) to December 16, 2012 (1pm check-out) counts as 2 day-nights. We have also sent you an email with more details. If you don’t see our email, please check your spam or bulk mail folder. how much is the monthlu rate? We have sent our monthly rates to your email address. If you don’t see our email, please check your spam or bulk mail folder. is there a standard room available tomorrow and check out on december 6? We replied via email and via the comment system. If you don’t see our email, please check your spam or bulk mail folder. available on dec 5 check in and check out dec 6? MPH Standard is available for Dec. 5 (2pm check-in) to Dec. 6 (1pm check-out). We have also sent you an email. how to reserve for tomorrow? We have sent you a (second) email. If you don’t see our email, please check your spam or bulk mail folder. yeah got it already. thanks. is there any reservation fee for it? No reservation fee or advance payment. You just pay at the hotel during check-in. hi i already emailed my reservation details how would i know if i already reserved it na. thanks. no reply pa kasi sa email ko. We already emailed you your reservation confirmation number. If you don’t see our email, please check your spam or bulk mail folder. hi miss how much is the rate per room for standard (matrimonial bed) with breakfast? GUsto ko sana magpa book from November 24-December 5…. November 24, 2012 (2pm check-in) to December 5, 2012 (1pm check-out) counts as 11 day-nights. Discounted daily rate for MPH Standard with breakfast for 2 is 1100 pesos. Tax already included. I’m looking for a room from February 15th through April 15th.I’d like 1 matrimonial bed. also is the coffee shop open 24 hours a day? As I would like to be able to do some work there. Coffee Shop is not 24/7. Only open from 6am to 10pm. We have emailed our monthly rates to you. Since you’re going to use the internet a lot, please consider getting a portable internet system. The three major telecoms in the Philippines offer such systems. They’re not expensive, and some Filipinos even use the portable systems as their home or even work internet connection. please reserve us 3 standard room for nov 21-24 . we willbe arrving 10:10 am via zest air. can you arrrange us transfer from airport to hoitel ?how far is the cebu international convention?please call me 09165534408 for information. thankl you god bless..
We have sent you email. hello, would like to reserve a standard room(1 matrimonial bed) with no breakfast on November 16 to 18. check-in time 8 or 9pm and check-out time @ 7 AM. is there an available room and how much would be the payment? is the price still the same on january 12-14, 2013? is your place near cebu IT park? Current rates are valid for January 2013. Yes, our hotel is near IT Park. On the first map on the location page, the green area is IT Park. Hello can you reserve us a room for 2 in a standard matrimonal room? we wll be coming in cebu nov 10. Please check your email box for our email reply. Tag pila ang pinaka cheapest room for monthly? We have sent our monthly rates to your email. Please recheck the email address you gave us. How much is the lowest monthly rate ? thanks. do u still have available standard room, matrimonial bed for nov 14? Hi! i was wondering if u also have weekly rates for ur standard rooms? or how much will it be for a 2 week stay? No weekly rates. Just discounted daily rates and monthly rates. Hi is this room available from oct 19-22?Just need 1 matrimonial bed.apprx check in time is 12pm of oct 19 and check out time on oct 22 will also be 12pm.Will the rate still be 1100? Your dates count as 3 day-nights, so 1100 X 3 = 3300.
expenses deposit. It is requested at check-in and refunded at check-out. How much is the rate if I’m going to stay on Nov 23-25 for 2 pax? Thanks. November 23 (2pm check-in) to November 25 (1pm check-out) is 2 day-nights. Please also bring an additional 500 pesos (in cash) for the incidental expenses deposit. It is requested at check-in and refunded at check-out. Would like to have a reservation on Sept 18, Tuesday, next week for a standard room with breakfast. Is there an available stardard room for that date? Pls send me an email… Thanks. MPH Standard is available for September 18, 2012. For reservation, please provide approx. check-in time on September 18, 2012 and approx. check-out time on September 19, 2012. Please also provide preferred bed-type – 1 matrimonial bed or 2 single beds. is this 1,100 available on oct12-14? how can i book this? That rate is available for October 2012. For reservation, please provide approx. check-in time on October 12, 2012 and approx. check-out time on October 14, 2012. Please also provide preferred bed-type – 1 matrimonial bed or 2 single beds.